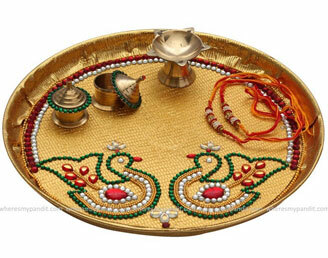 me than here i am going to share some of the very easy Thali decoration designs with you. 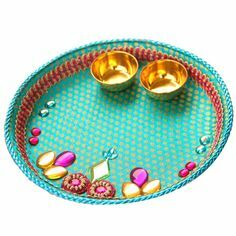 So scroll Down and learn that How to Decorate a Thali or we can Say how to decorate Pooja ki Thali For Rakshabandhan, Diwali or for any other function. 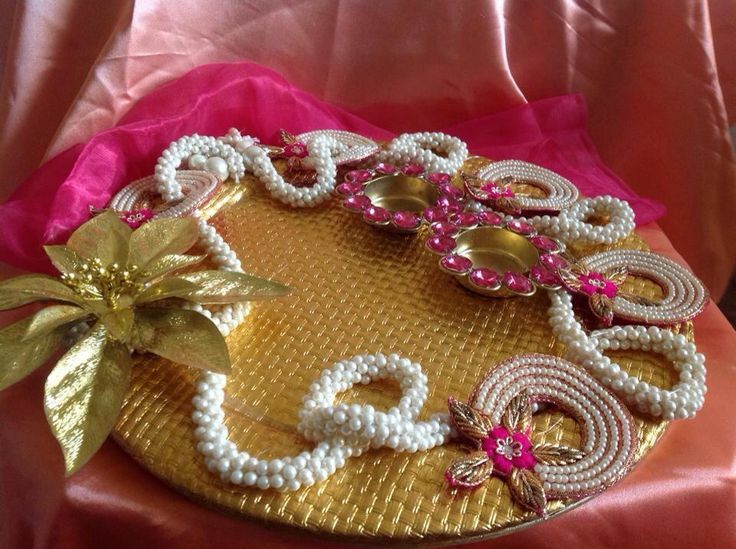 As we need to put some Roli/ Kumkum, Mithai, Rakhi or any other two or more things so i’ll suggest you to take a full sized thali to decorate as it will not be a decoration item but it be a very useful beautiful thali for any family function. So we need a thali, Some colorful stones, Beautiful Red, Orange of yellow colored cloth you can take colorful paper instead of that cloth,add some permanent gum and sizer in your list. Now cover your thali fully with this cloth or paper and paste stone beautifully on this Thali.Here i am sharing best thali decoration designs with you,see these designs and try by your own. Thali Decoration step by step, Decorated Thali Designs,easy Thali Decoration Ideas, Simple beautiful Thali Decoration Tips step by step,Thali decoration for Rakshabandhan, Diwali Thali Decoration Ideas, Pooja ki Thali Decoration in Hindi, Images of Decorate Lovely Thali, Lovely Thali Decoration Ideas.